Join the Coos Bay Chapter of Surfriders for our annual fundraising event! 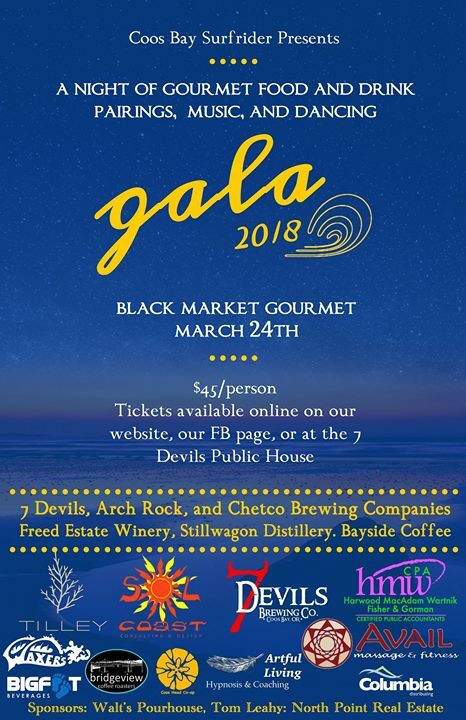 Food and beverage pairings featuring local brews, coffee, and wine coupled with Black Market Gourmet’s outstanding culinary contributions. Remember to bring your checkbook/wallet for our amazing auction items, and of course the Wall of Beer! Tickets currently on sale at 7 Devils Brewery and online.